Saw this in both the patch notes and on the PTR. The tooltip for Illusion Master says, in the Passive part: "...and his Basic Attacks reduce the cooldown of Image Transmission to 8 seconds. "I think what it's supposed to say is " and reduce the cooldown of Image Transmission to 8 seconds. "His basic attacks don't play into the cd reduction at all (as soon as you swap, Transmission is on an 8 second cd). 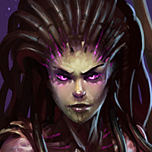 Will Kerrigan Ever Be Looked at? 08/16/2017 11:55 AMPosted by BlizzNeymanWe'd love it if we could introduce more reasons to use her abilities independently, so that she would have more variety in decision making.Maybe reduce the delay on Impale to 0.5s (from 1.25s), which means the W->E combo no longer works. The new combo becomes E, then drop W to zone/trap. You can also just drop Impales during brawls to catch people.Then, reduce the cd and mana cost of Primal Grasp, so she can throw out pulls regularly, but not always with a stun follow up. 04/20/2017 01:32 PMPosted by LevicopterSo despite nearly the fan calculators saying 1.0 level 20s are going 58 in 2.0... They'll be level 55? Like announced before?I don't know if Blizz every commented on that discrepancy. But using their new XP table in 2.0, a level 20 will become a level 54. 04/20/2017 10:53 AMPosted by Spyrian*Posted on behalf of Lead Game Designer Travis McGeathy*Why, Travis, why?!? !I was so close to level 1000 in the new system (9 or 10 new levels away). Now I'm 53 away! :'(That 10th veteran chest will never be mine now. Had this happen to me, too. Today, I was on Dehaka. I got hit by Lamb to the Slaughter, but was hitting E to try and escape it. I know I was late, because I became Silenced, but then I went down anyway and broke the Silenced and chained. If it helps, I was already 16, and had taken Tunneling Claws. Going into round 3, we were picking heroes and the game warned us we were about to be kicked for inactivity. Start the round, whole team gets kicked. Rejoin, and the game gave us a defeat since the whole team dropped. Yay? Curretly, at 6:00 in a brawl on Temple Arena. No shrines have activated. This brawl will never end. Any thoughts? Currently, when in the MVP screen, everyone seems to have unlimited upvotes. Everyone gets gold with 100+ votes. It's pretty feelgood.